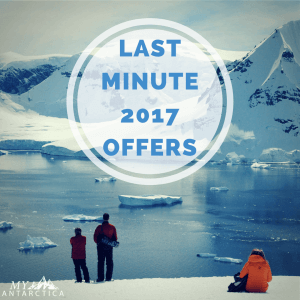 Enjoy the New Year with these last minute Antarctica specials and save up to US $10,450 per person onboard special Plancius and Ortelius Cruise voyages in 2017. An unforgettable journey deep into Antarctica through the Ross Sea onboard the 15 February 2017. This special voyage includes once in a lifetime helicopter flights* and get a glimpse of the historic huts of Scott and Shackleton, see jaw-dropping ice shelves and of course fly across the driest place on earth – the McMurdo Dry valleys. During this voyage, the MV Ortelius stops at and crosses the international global date line and the date suddenly jumps back in time one full day – literally traveling back in time. Rates start at US $17,450. Save up to US $10,450. The MV Plancius is one of the most modern, stable and quiet Antarctic cruises and offers a great interactive program, the ‘BaseCamp Plancius’. This special departure will stay an additional two or three days in the Antarctic Peninsula to allow more time for passengers to enjoy a wider array of activities, all of which like camping, kayaking, snowshoe/hiking, mountaineering, and photo workshops come included in your rate. Save US $2,050 off a twin window cabin on the 6 MAR 2017 departure, for a super competitive price of US $8200 US per person. 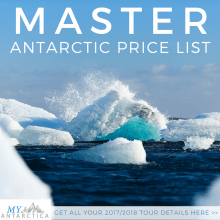 And you can explore the classic Antarctic route and be privileged to see feeding Humpback whales on a special Whale Watching voyage departing on 17 March 2017. Save up to US $1400 per person on a Twin Window and experience Antarctica for only US $6150 per person.